Rhapsodies about ceanothus tend to come in blue. 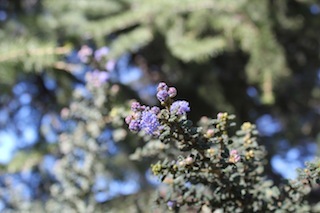 Ceanothus flowers aren’t any blue, they’re blue sky blue. No, George Gershwin blue. Deep space should have such a blue. The one-upsmanship is understandable. These plants do for blue what roses do for red and pink, though there’s always a know-it-all in the house willing to pipe up that in the case of the ceanothuses ‘Ray Hartman,’ ‘Dark Star,’ ‘Centennial’ and ‘Yankee Point,’ from bud to seed their blossoms can also seem to start mauve, turn lavender, then blue, then Jimi Hendrix purple. Some ceanothuses in the mountains such as Ceanothus cuneatus or ‘Snow Flurry’ aren’t blue at all, but white. But their blues are what make them one of the most effective ambassadors for native gardening in California. 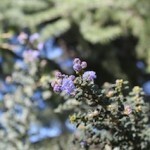 The problem in Los Angeles is that by the point visitors on April garden tours are struck dumb by ceanothus blues, the best time has generally passed for getting a ceanothus plant in the ground. That time would be now, during the relatively short days of winter when a chance of rain is still in the air. The window is still open to get young shrubs in (don’t go bigger than 1-gallon cans), though they will probably need supplemental water this damnably dry year. Do it by the end of February and you might even get a 2012 spring bloom. Whatever you do, don’t plant ceanothuses anytime from June to October. The stiff and beautiful ever-green leaves of ceanothuses are the definition of drought-resistance when the plant is established, but they can easily wilt when a plant is in a nursery pot or newly planted, and if they wilt, that’s it. Beyond timing of the planting, the trick is picking the right plant for the right place. Ceanothuses come in forms from ground cover to small trees. Most grow fast, so don’t crowd small plants. 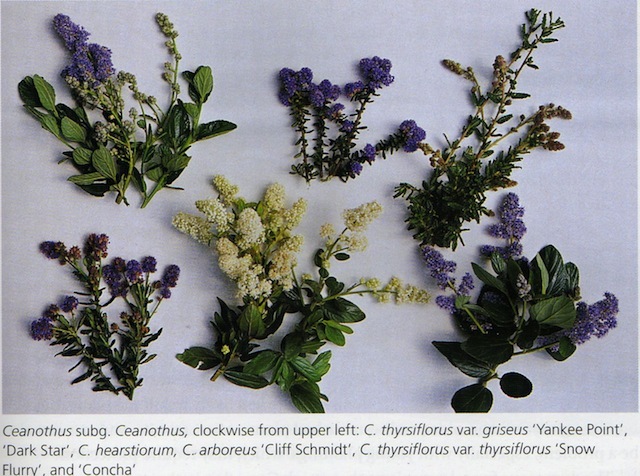 To help make the selection, this 2005 article carries a shape and bloom time guide. 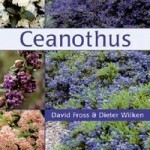 Or there is no better source than the 2006 Timber Press book “Ceanothus” by Arroyo Grande nurseryman David Fross and Santa Barbara taxonomist Dieter Wilken. A trip to the Theodore Payne Foundation in Sun Valley, the Grow Native Nursery outlets in Claremont and Brentwood, Tree of Life in San Juan Capistrano, Matilija Nursery in Moorpark or other native plant dealers should produce good choice and knowledgeable advice. Lovely piece Emily. I have a special fondness for Dark Star and the beautiful way the shrub just grows up and out in a lumpy mass with the bluest of blue flower mass in Spring. 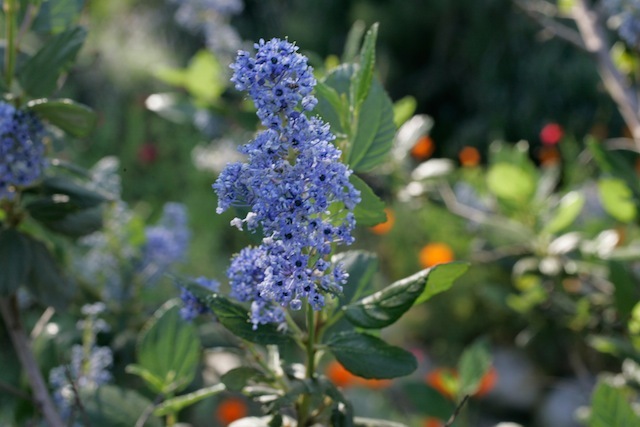 Yes, ceanothus are the crowning glory of spring in a native garden! I just noticed today the Ceanothus leucodermis (maybe?) beginning to bloom amongst the toyon in the Sepulveda Pass along the 405: a beautiful pale azure blue. In the garden, I’ve found cultivars and hybrids easy, but wild species have never lasted long for me. 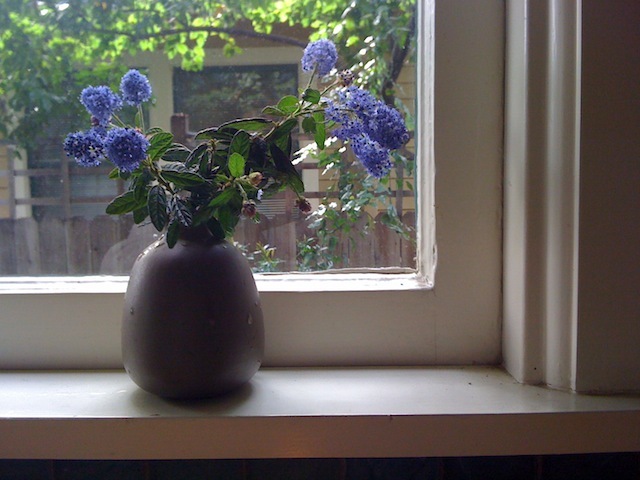 Ceanothus are great! I totally agree about never buying bigger than a 1 gallon pot, but that’s true for any plant. The smaller the better, as long as it is big enough to transplant, and is small due to youth rather than sickness. In a year or two you can’t tell the difference between a plug and a 15 gallon plant a lot of the time, and you could buy about 100 plugs for the same price. 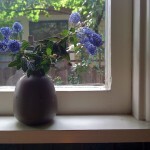 This post made me consider which is my favorite child: ceanothus or arctostaphylos. So as I dashed around my little quarter acre in Laguna Beach today trying to prioritize my pre-rain chores, I made a count: 11 ceanothus, 8 arctostaphylos. But 3 of those ceanothus volunteered, and I adopted them! All this leads me to believe, like any good parent, I love them equally! And one of my chores today: planting an agave “Blue Glow” in front of those 3 volunteers to create a duet in blues. Well, now I’ll have to take a drive out on the Ortega for a meeting with this Warren Roberts at my favorite nursery; heck, just about one of my favorite outings! And once I’m on the other side of the freeway I might as well visit the guys at Cismontane Brewing in RSM…some young, creative brewers who have even been known to throw a little local buckwheat in for authentic locavore imbibing. OK, now I want to skip the plants and head straight for the brewery. Out in the garden today, standing by as a friend took a sharp new pair of loppers to a mangled persimmon tree, I backed into a Ray Hartman whose early bloom should worry me but whose early bloom is also so narcotic that it immunizes against all but enjoyment. So, backed up into this plant, I realized that I forgot the perfume of those blue blue bluer bluest flowers. This is so sweet, so perfect, so young. Before I start sounding like a wine writer, waiter, please may I have a beer? Well, I made the trek out to ToL today but Warren Roberts stood me up! I’ll look for him next week when I go to Claremont where I always find time to see what’s new at RSABG. All was not wasted today: I came away with an adorable A. Edmundsii, reputed to stay a mere 6″ tall, and a Dudleya Brittonii to add to that burgeoning collection. I have been lusting after a sulpher buckwheat but was told to come back in the spring. I think humans are the only life form in SoCal that don’t believe it’s spring. Whatever, it’s not like I need a reason to go to ToL, take THAT, Mr. Roberts!